These honey garlic BBQ pork ribs are the easiest thing to make and work really great for a large crowd. They are one of my go-to meals for farming seasons and a gorgeous day that calls for BBQing. 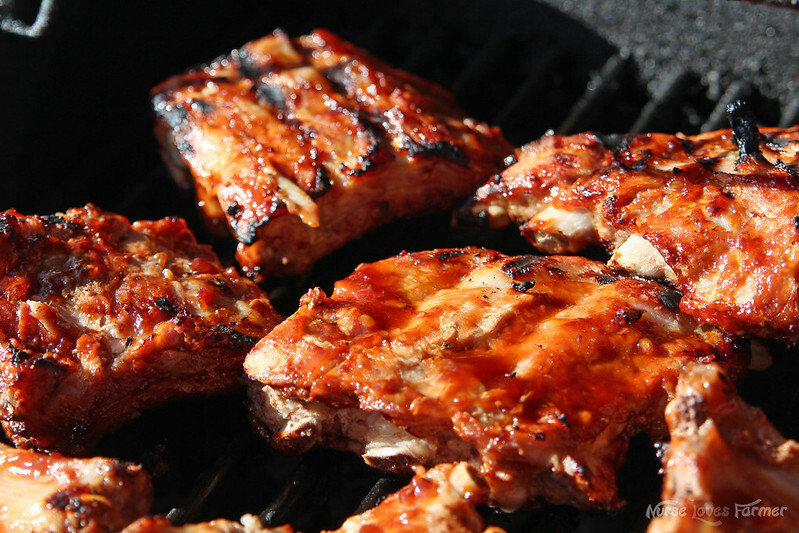 There is very little prep, they simmer on the stove all day, you just make a delicious 4-ingredient honey garlic BBQ sauce and throw them on the grill to get them nice and crispy! All you do is cut up sections of the rack into 3-4 ribs per piece and put them in a large stock pot. Make sure the ones on the bottom are bone-side down or the meat will stick to the bottom of the pot…I’ve made that mistake a time or two! 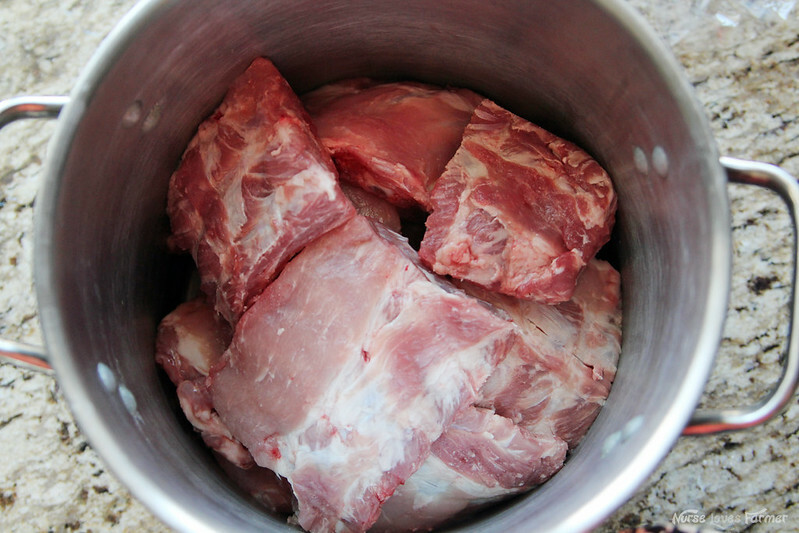 Fill the pot so the meat is covered with water, place on stove and boil water. Once water is boiling, turn down to simmer and leave on stove top all day. I usually do this after lunch and leave it for a good 4-5 hours. Longer would be fine. 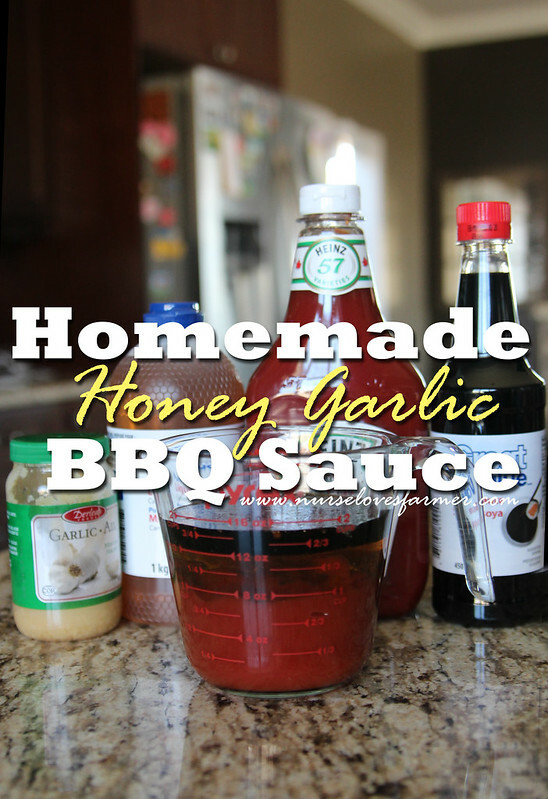 Any time you can make the honey garlic BBQ sauce. About 15 minutes before you want to serve supper and your BBQ is heated, slap some sauce on the front and back of the ribs and grill on low-medium (depending on your BBQ) for about 5-7 minutes per side and you can baste with the leftover sauce. I find this sauce makes double what I need so I freeze the rest for next time. If it’s not BBQ weather, still slather the ribs with sauce and place in a 400ºF oven on parchment-lined baking sheet until sauce is sticky and ribs are starting to brown. Tender, fall-off-the bone pork ribs in a sweet homemade honey garlic sauce. Finish on the BBQ or in the oven. Cut racks of ribs into sections; 3-4 ribs per section. Place ribs (bone-side down on bottom!) in large stock pot, cover with water. Boil water on stove top; once boiling turn down to simmer---anywhere from 2-6 hours, the longer....the more tender! 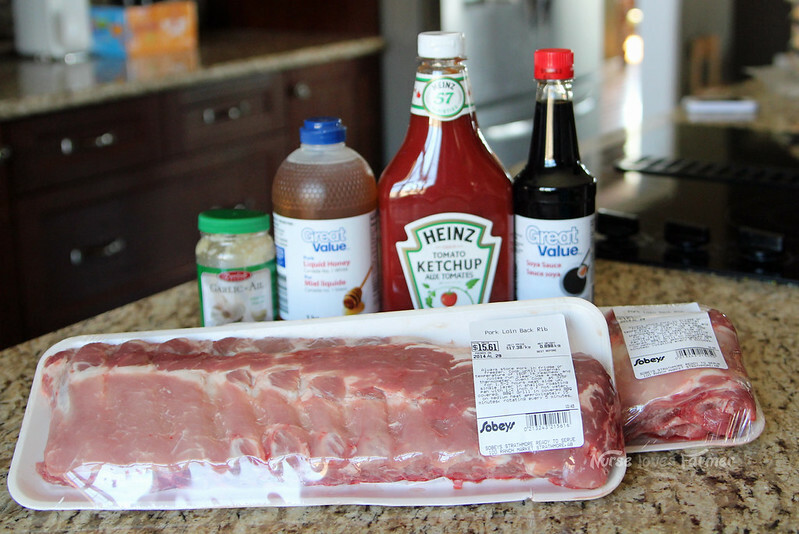 Mix all ingredients for BBQ sauce together and refrigerate until use. About 15 minutes before you need to serve dinner; warm up BBQ to low-medium heat. 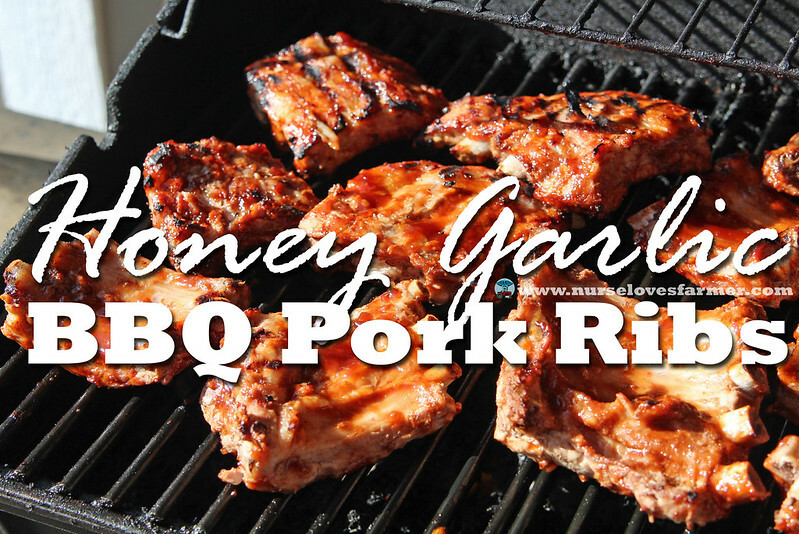 Take ribs out of stock pot and slather generously with honey garlic BBQ sauce on both sides. Place ribs on grill for ~5-7 minutes per side (depending on your grill!) keep basting with sauce; remember the ribs are already cooked, this is just to get them nice and crispy! If it's not BBQ weather, slather with sauce, place on parchment-lined baking tray and bake at 400F until sauce is sticky and starting to brown. I have to credit, once again, my mother-in-law for this amazing recipe. Farm wives know how to cook! My son taught me how to make fall the the bone ribs which you don't have to boil all day. I make them alot now and never order at restaurants. Being a Memphian I am picky about my ribs, but these sounds amazing! I bet you are, but I promise they're so good! Erin, I totally hear you! Ribs always used to intimidate me too but I promise these are no-fail! Looks delicious and I believe you can never go wrong with pork! I'll have to try this recipe out this grilling season. My recent post Wordless Wednesday – Signs that Spring FINALLY arrived! Ribs always used to intimidate me, but these are a no-fail recipe!